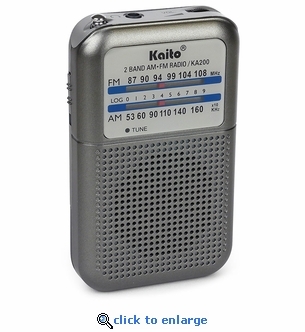 The small Kaito AM/FM pocket radio has great reception and is perfect for listening to talk shows, music, sporting events or keeping informed during emergencies. Compact enough to take camping, hiking and fishing or just use it around the house. It features a telescoping antenna to increase reception and a headphone jack for private listening.